A very flat turtle with a rounded, leathery-skinned, flexible, shell which is keelless and unhinged. The snout is long with open nostrils on the end. The limbs are flat with broadly-webbed feet. Color is olive, brown or grayish, sometimes with dark markings which fade with age. The head and limbs are olive to gray with dark markings. Two dark-bordered light stripes mark each side of the head, extending from the back of the eye and from the back of the angle of the jaw. The shell has a yellowish border with a dark line around it. The carapace is rimmed with pale coloring which is four to five times wider on the rear than on the front and sides. There are pale conical spiny projections (tubercles) along the rear third of the shell. The plastron is yellowish and unmarked. Males are smaller than females with a thick tail that extends beyond the carapace, and their pattern is more contrasted than that of females. The shell has a sandpaper-like texture. Females become more blotched and mottled as they get older and have a smoother shell with well-developed warts on the front edge. Juveniles have prominent dark markings on the head and the limbs and black spots on the shell. Thoroughly aquatic, but basks out of the water. Active most of the year, becoming dormant in cold temperatures. Often remains hidden underwater with the snout extended up to the surface to breathe. Difficult to approach, moves very fast on land and in the water. Capable of scratching vigorously and producing a painful bite if handled. Predominately carniverous. Eat insects, crayfish, worms, snails, fish, frogs, tadpoles, and reptiles. Both actively hunts its prey and sits still to ambush passing prey. May also scavenge its food. From May to August, females crawl onto land to lay 1 or 2 clutches of 3 - 39 eggs on exposed, sunny, sandy banks. Hatchlings emerge from August to October. 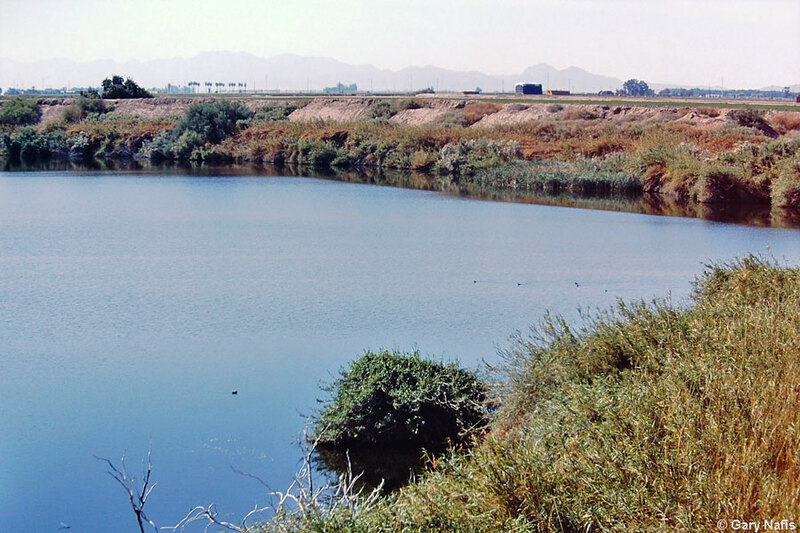 In California, it is found in permanent, not temporary, rivers, agricultural canals, drainage ditches, artificial lakes and ponds. Prefers still water with a muddy, sandy, or gravelly bottom, and aquatic vegetation. The species Apalone spinifera - Spiny Softshell, ranges widely through most of the central and southeastern part of the United States with isolated populations in Montana and extreme southern Canada north of New York, and ranging south into northeastern Mexico. The subspecies Apalone spinifera emoryi, Texas Spiny Softshell, is native to the Rio Grande and Pecos River drainages in Texas and New Mexico, and the lower Rio Grande Valley in Texas, and northern Mexico. It has also been introduced into parts of Arizona, New Mexico, Nevada, Utah, and Baja California. 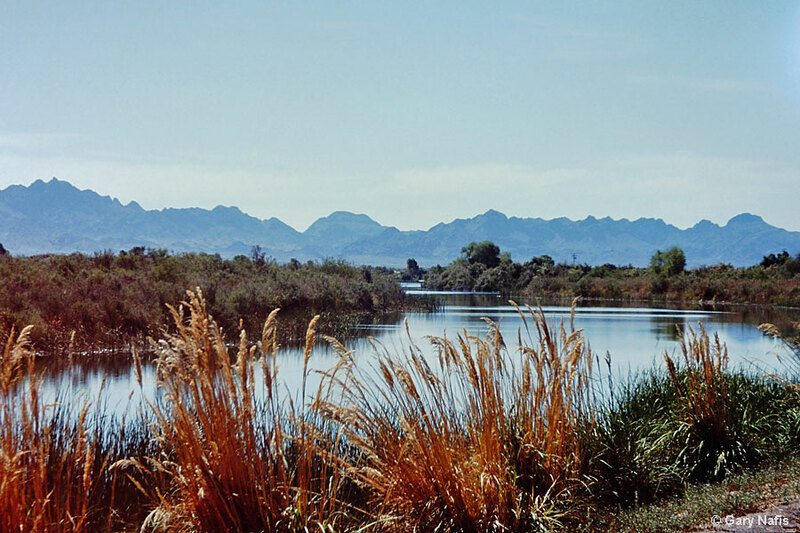 First introduced into the lower Colorado river, Apalone spinifera emoryi has extended its range west into the Imperial Valley and north to the Salton Sea in Imperial and Riverside Counties. and in the upper Sacramento River. and that they are definitely established at the Kern NWR in Kern County, and might also be found in the Kern River. It is not known if all of these locations represent speciments that are single waifs or if they represent breeding populations. Six subspecies are recognized including one endemic in Mexico. emoryi - honors Emory, William H.
No other turtles, native or introduced, are similar in appearance to the Texas Spiny Softshell. 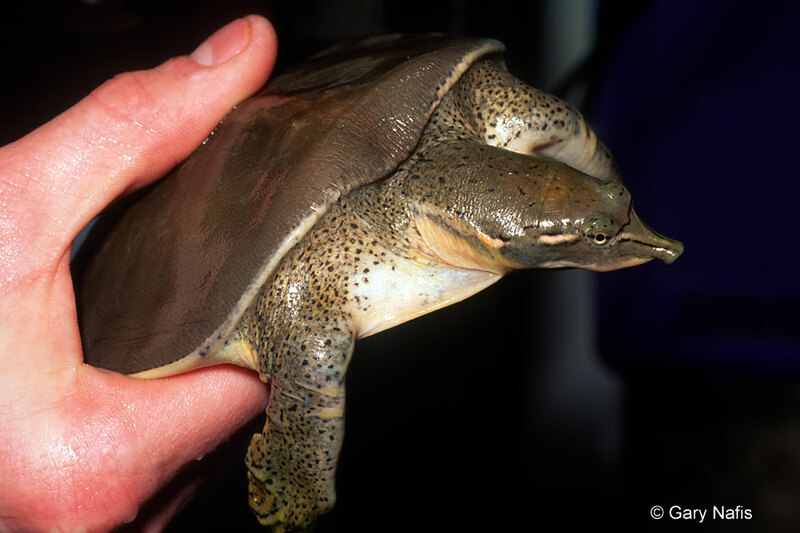 However, sometimes other species of softshell turtles sold as pets or found in Asian food markets are released into the wild. This turtle is not included on the Special Animals List, which indicates that there are no significant conservation concerns for it in California.